Farmer — Tec Studio Inc. The Richard T. Farmer School of Business at Miami University was built with sustainability in mind. 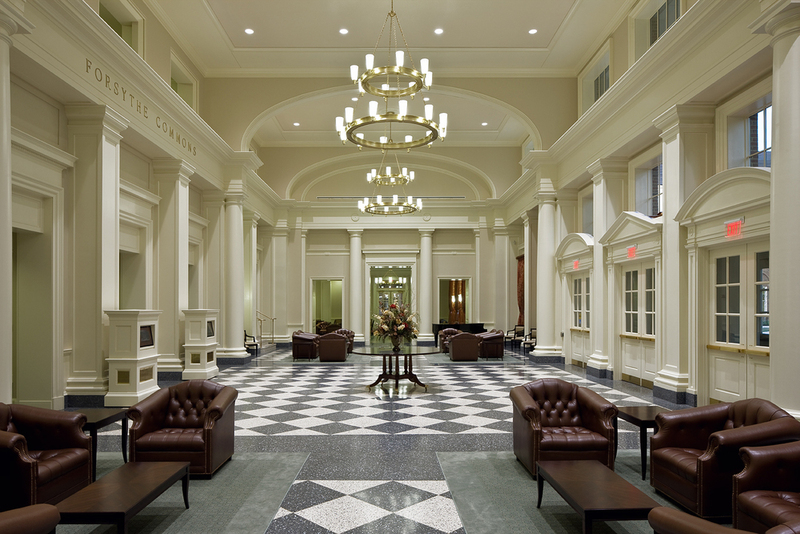 The lighting design necessitated high efficiency luminaires tied into automated lighting control systems while maintaining the architectural integrity of a traditionally designed building. 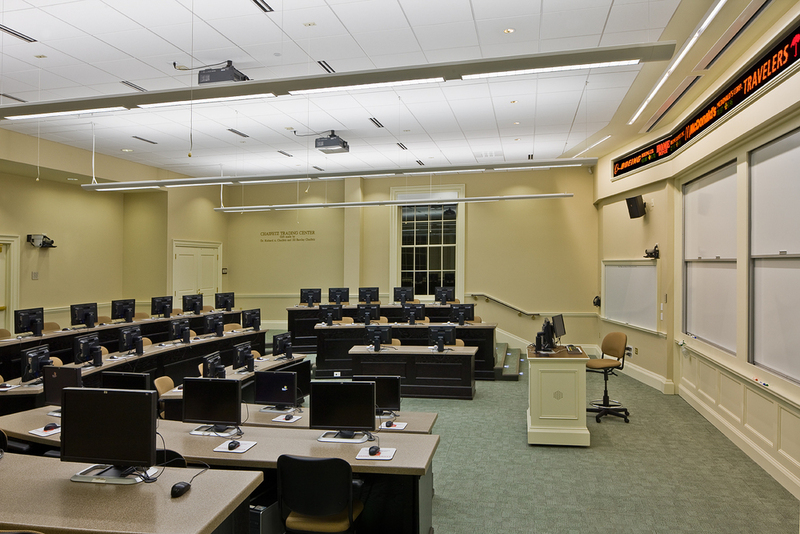 To meet the specialized needs A/V intensive classrooms the lighting design utilizes digitally addressable ballasts and incorporates motorized shading systems providing sun as well as black out shades. 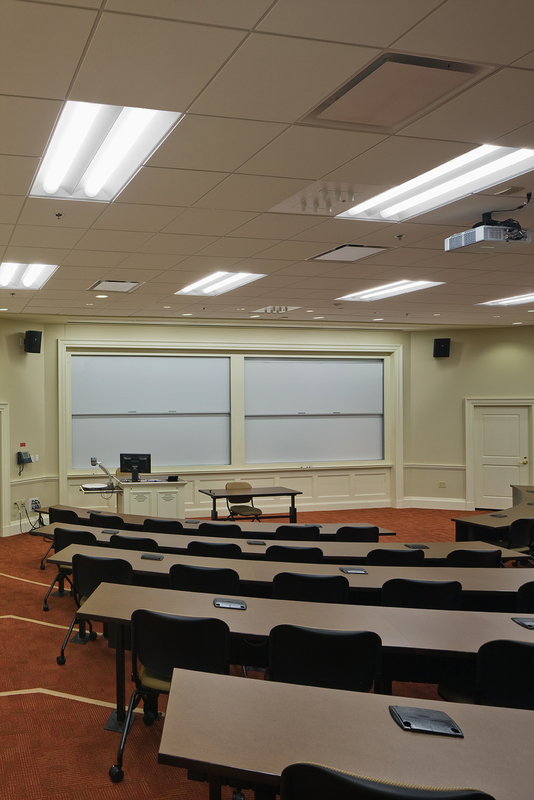 The classrooms also included daylight sensors in conjunction with dimming ballasts for lowered power consumption to take advantage of available daylight contribution. The lighting power densities were targeted at 20 percent less than ASHRAE 90.1 and were still able to meet the IESNA Recommended Practice footcandle levels. 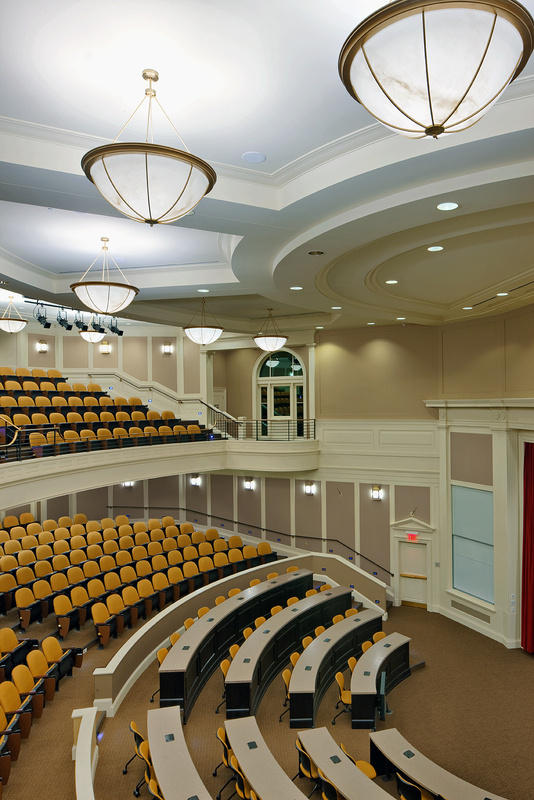 The project included two high-end auditoriums that incorporated full scale dimming and the use of custom high performance decorative luminaires to meet the architectural aesthetics of the space. 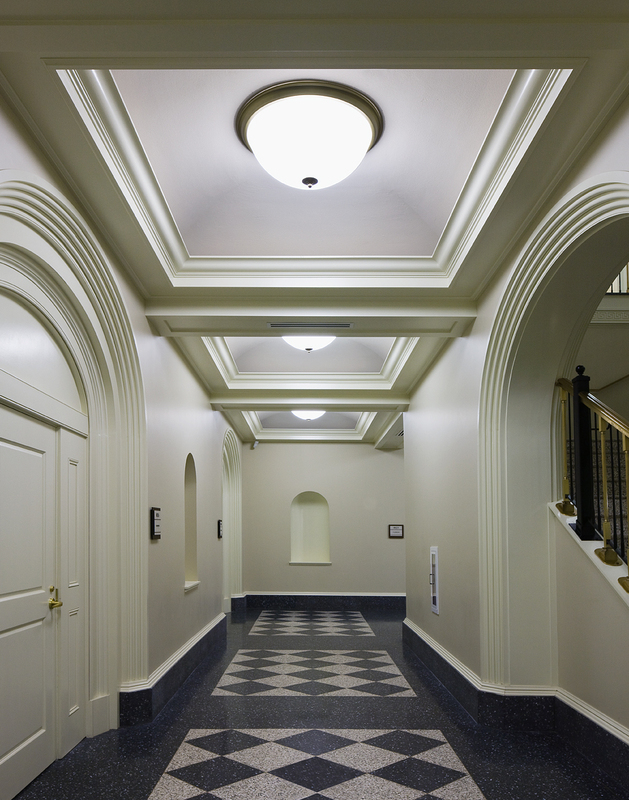 Similar high performance decorative luminaires were used throughout the building with additional daylight harvesting controls. 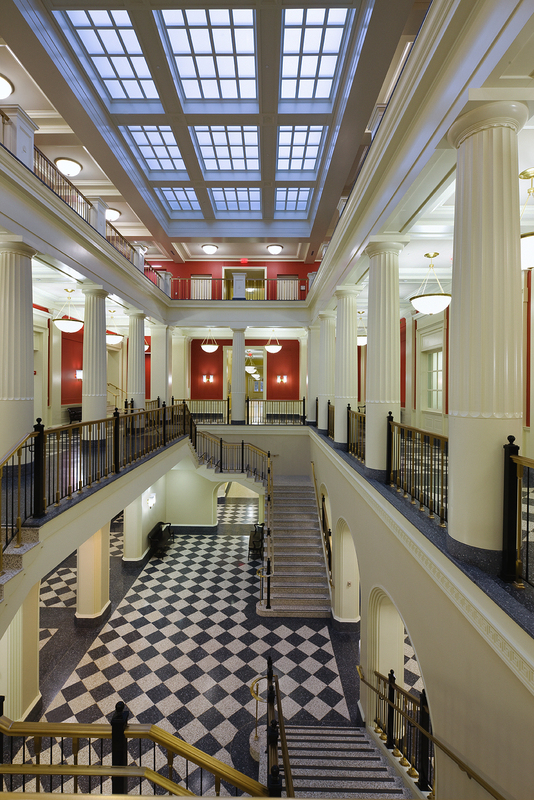 A light pipe system was concealed within the main Atrium’s skylight to create the effect that all light was natural and provided through the skylight. 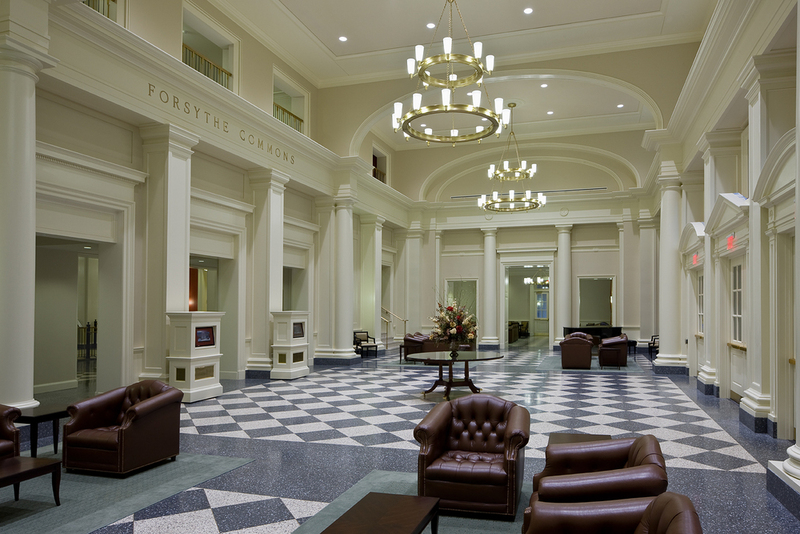 The use of new and innovative technology allowed the project to meet the needs of the space and be highly energy efficient while aesthetically unifying the architectural design. 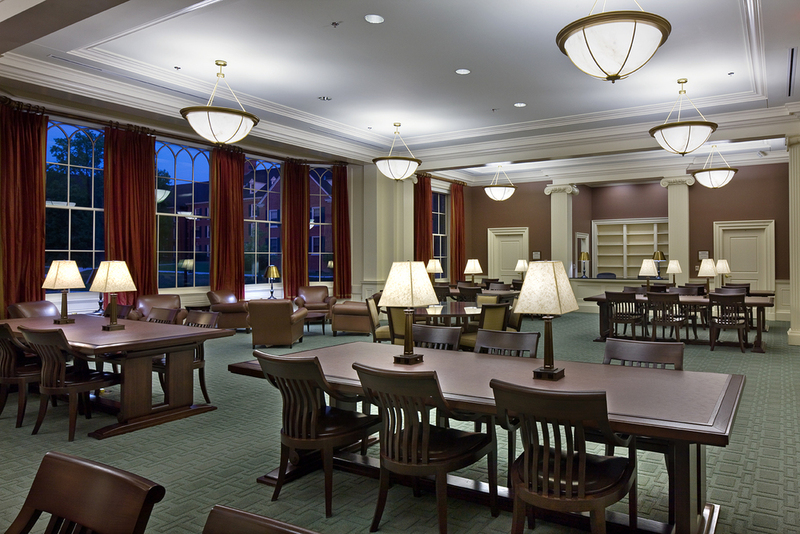 In 2011 Ms. Zinkon received the prestigious GE Edison Award of Excellence in Environmental Design for this project.